Applications for the Toshiba Research Fellowship Programme 2015 are now open. This scheme provides an excellent opportunity for PhD research students to gain a rare experience of working in a leading technology company’s R&D labs in Japan for up to 2 years, allowing them to conduct new research within their field and learn about key R&D techniques as well as about different country and workplace cultures. — Have completed their PhD by the time they begin working for Toshiba in Japan. The WSWAN’ 2015 is the 2nd world Symposium organized by ISET University, Tunisia, which will take place on the 21st-23rd March 2015. It addresses both practical and theoretical research in the areas of ad hoc networks, sensor networks, mesh networks and vehicular networks. Its main focus is on all issues from link layer up to the application layer, and will solicit academic, research, and industrial contributions. Confused about Research Data Management? Research funders and institutions are imposing mandates regarding the importance of open and well preserved data. With these changing demands, now is a good opportunity to learn more about what is desired for correct data management practises, whilst adapting your current methods to keep ahead of the game. A presentation is being held covering key policies, plans, sharing outlets and long-term preservation of data. 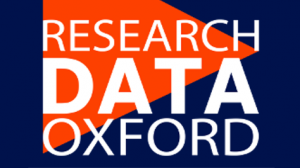 It will provide in depth information regarding the growing importance of good research data management, alongside the tools and services being developed at Oxford and elsewhere to best aid researchers. To sign up – Click Here! As part of the Department for Continuing Education’s Open Day, a 45 minute discussion session is being held on the topic of ‘Create a Bespoke Course’. It is relevant for anyone, academic or administrative, who is involved in (or thinking about!) developing an educational programme. This session will offer a chance to explore the different levels of service that the Department can offer in the creation of professional development courses, conferences and summer schools. Whether this is to raise awareness of your department’s profile and research activities, attract more researchers, improve networks and find future collaborations, strengthen relationships with corporate and philanthropic funders, investigate demand for new courses within your subject area or as part of general capacity building activities we can provide all the administrative support, accreditation services and marketing expertise needed. It is recommended that you book in advance. To do so, click here, select the course via the tick box, and then register at the bottom of the page.